Regular campaign means an HTML campaign with images, links, and complete text formatting, which also contains the plain-text version. Regular campaigns are the most common type among all campaigns. 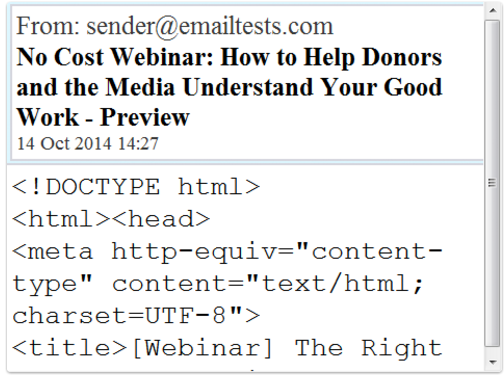 Spam filters prefer to see the alternative plain-text version of the html email in order to let it through to people’s inboxes. This function of spam filters can be easily explained by the fact that spammers usually do not take the time to create the plain-text versions. If you take time to do it, you will be rewarded with more successful automated campaigns. Some email clients or applications do not support the html format. This can result in non-deliverability of your emails to such subscribers. Having a plain-text backup version will ensure that the subscribers will see your email. There will be no images or rich formatting, but the main point of it – the information and URLs – are going to be preserved. Also searched with "Regular Campaign"
Rate this article about "Regular Campaign"
If you are interested in "Regular Campaign" you might be interested in our bulk email service.